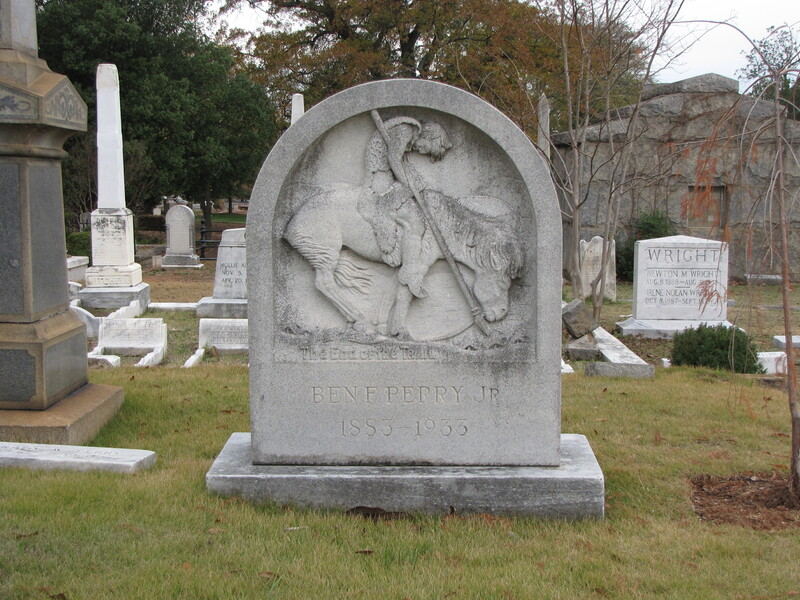 Among the many unique and beautiful monuments in the Oakland Cemetery, in Atlanta, Georgia, is Ben Perry Jr’s gravestone. His marker is a rounded-top tablet with a bas-relief replica of the sculpture, The End of the Trail, a powerful tribute mourning the loss of the Sioux people, by the famous western sculptor, James Earle Fraser. 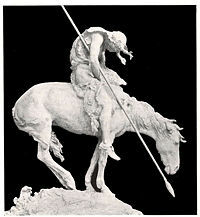 Fraser created the sculpture for the Panama Pacific Exposition held in 1915 in San Francisco. The End of the Trail is also a fitting metaphor for the end of one’s life. In addition for his fame for The End of the Trail, his most famous work, Fraser was also recognized for the art he created for the United States Mint, for the Indian Head Nickel.